Lovely blue heels with cutout pattern. Worn a few times but still in excellent condition. These stunning shoes have never been worn so are in perfect condition and are still in original box. They are a faux suede material with a gold buckle on ankle strap. The heels are 9.5cm high. Thanks for looking! 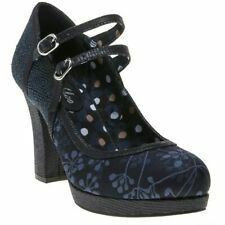 Miss L-Fire Adriana Shoes in Blue EU Sizes 37 and 40. Women's Boden Blue Nubuck dress shoes size 6, worn once indoors!. Women's Boden Blue Nubuck dress shoes size 6, worn once indoors!.. Condition is Used. Dispatched with Royal Mail 2nd Class. BLUE SUEDE KITTEN SLINGBACK SHOES. SIZE 39EUR - 6UK. 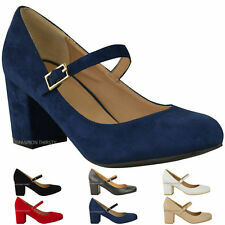 Ladies Cobalt Blue Shoes TOPSHOP 6 kitten heel leather . Condition is Used. Condition Used. Only worn once to a wedding.